The Australian legal profession’s leaders are optimistic about its future despite disruptive technologies such as artificial intelligence. A poll of 20 Australian managing partners by Eaton Capital Partners found that there was generally high sentiment on the future for their own firms and the wider profession. The leaders were selected from various sizes of firms including boutiques and global law firms. On artificial intelligence, just 15 per cent thought it would have a significant impact on the profession while 60 per cent said it would meet clients’ needs on efficiency. 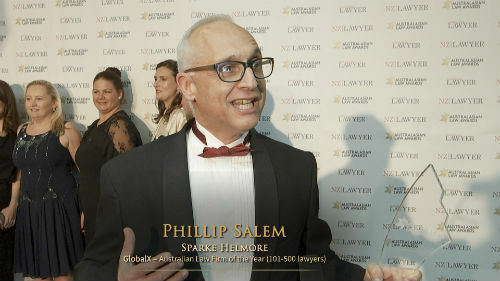 That said, technology overall was considered to have the most significant impact on the profession over the coming 5 years by more than half of respondents; while the dominance of global law firms (30 per cent) and boutiques and specialists taking work from full-service firms (20 per cent) are also pressing concerns. The leaders put strategy as their top priority – 60 per cent said that while 40 per cent said it was people – they also highlighted the importance of a good culture within the firm. Flexible working is a key component of that culture with most managing partners saying it was offered to all employees. Participants in the survey included Sue Gilchrist, the head of Herbert Smith Freehills in Australia, Baker & McKenzie Australia managing partner Chris Freeland, Clayton Utz managing partner Robert Cutler and the long-term head of Gilbert + Tobin, Danny Gilbert. Law firms are looking to differentiate themselves in an increasingly competitive market by making traditional back-office functions part of the strategic mix. Research by HBR Consulting shows that client service and engagement was viewed as the top criteria for selecting outside counsel by in-house teams and law firms are increasingly demonstrating their efficiency and flexibility to win business. According to HBR’s survey, 40 per cent of law departments plan to increase their use of technology to automate routine tasks, enhance work processes and support data analytics in the near future. A case brought by a Los Angeles police captain against Sir Elton John has been dismissed. TMZ.com reports that the sexual harassment claims made in March by Jeffrey Wenninger alleged several incidents which the plaintiff claimed while he was working for the singer as a security guard. The case was dismissed by a court in LA at the request of Wenninger’s lawyers. Elton John’s representative says that no payment was made.